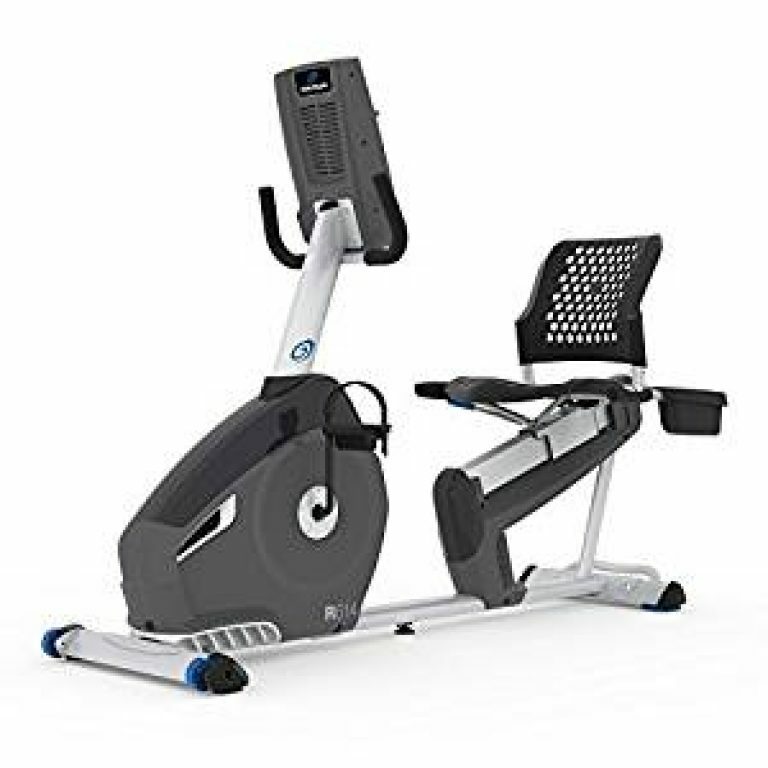 When it comes down to owning an exercise bike for yourself and your family, in the most economical and affordable budget ever, Sunny Health and Fitness Magnetic Recumbent Bike is one of the best in the market. Although Sunny Health and Fitness might not be as famous as some of the other firms we can see in this review compilation, but they have certainly created a number of different efficient and effective exercise bikes, which can allows people to easily lose weight, stay fit and live a healthy lifestyle. These bikes have something amazing in common, their portability. Having a light weight and several spots to hold on from, you can easily transport this exercise bike from one place to another. Whether it be from your home to your workplace or vice versa, this amazing exercise bike is always efficient in this context. Other than that the weight capacity of this bike is amazing as well. It is hard to believe that a light weighted exercise bike can take a weight capacity up to 350 lbs. The adjustment of the bike, from the point of it’s unpacking to the point where you have to adjust the seat for your first workout session is also amazing. However, is it worth your money or not? To find that out, let us discuss some of the major features of this amazing recumbent exercise bike. The step-through design which has been added to the Sunny Health and Fitness Magnetic Recumbent Bike allows the users to easily get on the bike, without having to extend their legs and ride the bike. This is not only easier for people who are going to use the bike, but it also offers amazing safety, which is the priority for each and every health and fitness company out there in the fitness marketplace. Making sure that you are well-aware if your heart rate throughout the workout session is one of the most important things you need to consider while working out on an exercise bike. Your heart rate needs to be normal at times, and higher when you are doing a high resistance workout. This allows you to measure the level of effort you are putting in, and how much your workout sessions is proving to be effective for you. The Easy Seat Adjuster is a new and unique concept, which offers an amazing ability to continue your workout, no matter what. The main concept behind this adjuster is that you do not have to pause your workout, get up and make adjustments to your seat. You can easily flick the adjuster handle, and it can do all the adjusting stuff for you. The convenient knob which has been equipped in this bike allows you to toggle the tension you want to use, in a blink of an eye. This amazing feature makes sure that you can enjoy the intensity you want, and make your workout as effective as possible. For people who have worked out on an exercise machine before, there are higher levels of tension available, and similarly for beginners as well. Apart from all that, the LCD monitor allows you to see the program that you have chosen, and it’s details as well. 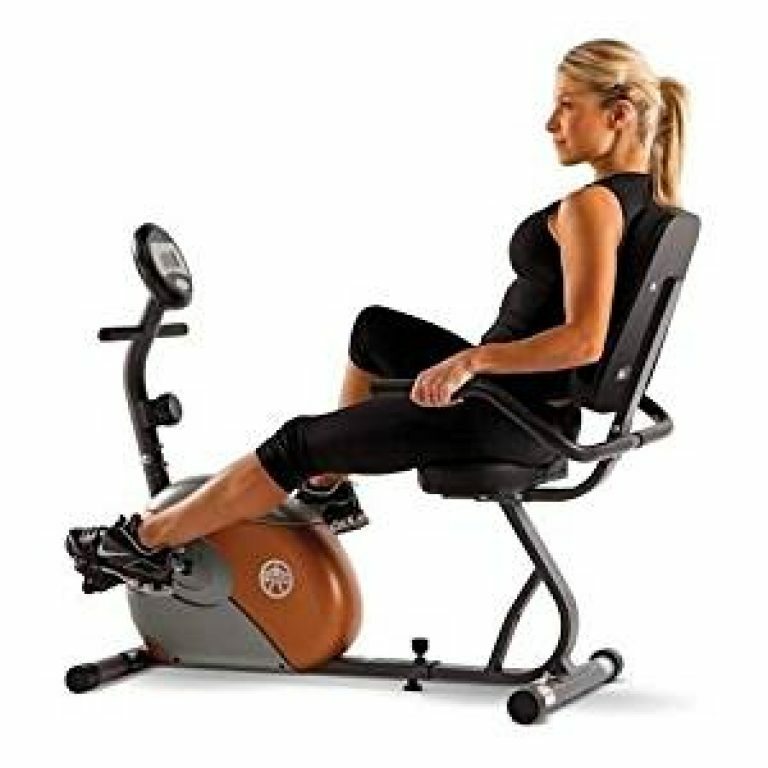 The water bottle holder and the stability which is offered by a flat surface machine are additional functions or benefits of this amazing recumbent exercise bike. The handle which is designed to adjust the seat is exceptionally smooth and easy to use, which allows you to effectively adjust the seating according to your posture. It has an extended weight capacity of over 350 lbs. The bike has been equipped with a Quite Belt Drive Transmission System. It has an 8-Level Magnetic Tension System, and the Heart Rate Sensor offers accurate readings. The belt may come off after a while, unless and until it has been fixed properly. The reading platform or table cannot be moved closer, which is comfortable for people wanting to read while working out. 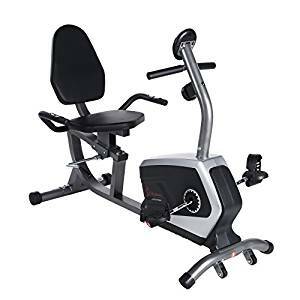 When you are looking to invest some money in exercise bikes, especially recumbent exercise bikes which are generally a bit more costly than most of the other standard exercise bikes in the market, you need to make sure that you are getting the value for your money. With Sunny Health and Fitness Magnetic Recumbent Bike, you do not have to worry about this. This amazing bike offers you so many different features, and is priced exceptionally low for the functions it is providing. Most of the users of this exceptional exercise bike are extremely happy its performance in the past few years. The only disadvantage of this bike which people have noticed since using it is that the reading table or platform cannot be moved closer. This might be uncomfortable for people who want to exercise while reading. Apart from that, this bike is certainly a good option to consider.